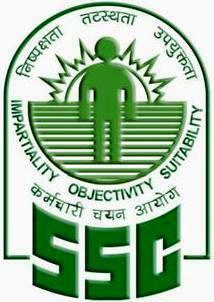 Staff selection commission (SSC) has declared the final results of SSC CGL Exam 2015 on the official website of commission www.ssc.nic.in. There are a large number of students has appeared in this examination. All are waiting for the final declaration of SSC Tier I 2015 which was conducted in the month August 2015. More than 17 lakh candidates has appeared in this exam for Tier I and waiting for the final results of tier 1. All the students who have qualified the SSC Tier-1, will be eligible to appear in the second stage of the examination i.e. SSC Tier-2 exam which will conduct in January 2016, as per the latest schedule released by the staff selection commission. This is big news for all students who were appeared in SSC CGL Tier-1 Exam 2015 conducted in the month of August, their wait is over and final result is available on the official website of commission ssc.nic.in. You can check your roll number in the list of qualified students and if you are qualified then start the preparation for tier-2 exam. If you’re not qualified this time, then don’t worry and prepare hard for next time. You have also a chance to appear in SSC CHSL Exam 2015 which will conduct in November month. Here we are sharing the direct link to download the pdf from commission’s website which contains the name and roll number of qualified candidates. Here is the procedure for checking the SSC CGL 2015 Tier 1 Result. Due to the high traffic to the official website, it goes slow down and sometimes it do not open for a long time then you can check your result here by downloading the pdf directly from here. Around 1.67 lakh candidates has qualified the CGL Exam this year out of 17 lakh total. For the posts of Statistical Investigator and Compiler, over 22,000 candidates total, have been declared qualified. About the SSC CGL Cut-off Marks, the final cut-off is slightly high as compared to the previous year. Since the competition is high, total number of students appeared is high so obviously the SSC Cut-off marks must be high to prepare merit list for Tier 2 exam. How To Check SSC CGL Result Online / Download Result PDF? If you have appeared in SSC Combined Graduate Level Tier 1 Exam 2015 which was conducted on 9th and 16th August, 2015 then here is the result of your examination. Open the official website of commission -www.ssc.nic.in and check the result tab to view results. The size of pdf is too big because it contains details of more than 1 lakh students who have qualified in this examination. All the tier 1 qualified students, will be eligible for tier 2 exam which is followed by the interview for the final selection. If you successfully qualified the SSC CGL Tier 1 Exam with good marks then you should start the preparation for SSC CGL Tier 2 to gain more marks. The marks scored in tier 1 and tier 2 both added to the marks scored in interview and the total marks makes your merit for the allotment of SSC Posts.